According to the latest reports from AdDuplex, Microsoft’s latest entrant to the Surface family, the Surface Go now holds a market share of 1.24% of among the Surface devices. Microsoft which launched the Surface Go device on August 2nd in the US market enters the list of Surface devices and is now placed between the Surface Laptop and Surface Studio. Surface Pro 4 still remains the most popular Surface device beating other two Surface Pro models. The Surface Pro 4 currently holds a market share of around 33% with Surface Pro 3 and Surface Pro at 18% and 17% respectively. Microsoft launched the Surface Go keeping in mind the education sector with the device featuring a 10″ display and offering 7th Generation Intel Pentium Gold Processor 4415Y with 4 GB and 8 GB RAM options. The Surface Go has been termed as the most affordable device among the Surface family with the device priced at $399. The device comes with Windows 10 in S Mode pre-installed and you can get a full Windows 10 experience when upgraded from S Mode. AdDuplex has also shared some new data about the Windows popularity for the month of August 2018. The current data shows the percentage of devices running the Windows 10 April Update. Graphics and more is posted on OUR FORUM. While Microsoft has moved to Edge for Windows 10 on the desktop, Internet Explorer still remains available as an option. Unlike three years ago when we first wrote this article on how to find and run Internet Explorer, Microsoft has since developed Edge much further, Users can now expect a plethora of features built around reading, inking and similar. Edge is also easier on the eyes, comes with a beautiful built-in dark mode and fluent design, and can support progressive web apps. In short, Edge is for the modern computer user. Still, if you do want to run Internet Explorer for reasons like legacy app support or just familiarity, you can find it by searching with Cortana, or in the Start Menu where it’s buried. Now, Internet Explorer isn’t for everyone. It’s actually for almost no-one right now. Microsoft leaves it enabled for users who want to run legacy web apps that will (for some reason) only run in Internet Explorer. If you don’t particularly care like 99% of people, there’s a quick way to disable Internet Explorer so it’s completely out of the way. Internet Explorer is an aging browser that tends to be riddled with security vulnerabilities, whose had its time in the spotlight and now more and more people are using alternative web browsers and realize they want to completely remove the older less reliable Internet Explorer, now is their chance to do just that. Visit OUR FORUM for further details. Sony and Microsoft have formed the HDR Gaming Interest Group (HGIG) and are inviting TV manufacturers, game developers, and others to participate in an effort to improve the HDR gaming experience. The proposed initiatives also change how a game console and TV interoperate. High Dynamic Range (HDR) is already one of the most significant developments in gaming in recent years but Sony and Microsoft, fierce rivals in the gaming console space with their PlayStation and Xbox consoles, believe it can look even better. The two companies will work together to ensure “a better HDR gaming experience” by forming the HDR Gaming Interest Group (HGIG). They are inviting TV manufacturers, game developers, and other players in the field to voluntarily participate. ”HDR Gaming Interest Group, with participation of leading companies from the entertainment, game and TV industries, analyzed issues behind the negative reactions from consumers about HDR games and recommend the guidelines for HDR game production,” Microsoft and Sony wrote. “In sum, the core element of the recommendation is to produce an HDR game that parameterizes its tone mapper when given information about an HDR display's tone mapper. This will compensate for the variance in how displays handle HDR.” More can be found on OUR FORUM. Microsoft is inviting AI researchers with ideas but no resources to submit their ideas to their Microsoft AI Idea Challenge Contest for a chance to win prizes and collaborate with other developers. 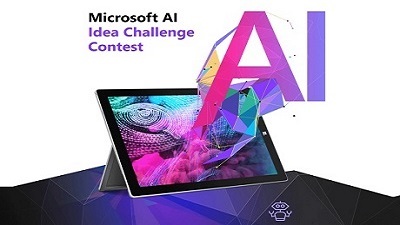 The Microsoft AI Idea Challenge is directed at developers, students, professionals and data scientists seeking innovative, breakthrough artificial intelligence (AI) solutions. The contest also provides a platform for developers, students and data scientists community to freely share AI models and applications, so they are reusable and easily accessible. The Microsoft AI Idea Challenge is looking for AI solutions across all use cases. The top three ideas will each receive prizes plus an opportunity to present the idea with Microsoft on AI Lab. Ideas will be judged on originality, feasibility and complexity to implement. The first prize is a 15 inch Surface Book, the second a DJI Drone Mavic Pro Bundle and the 3rd and Xbox One. The Microsoft AI Challenge is accepting submissions between August 13th– October 12th, 2018. Individuals or teams are required to submit a working AI model, test dataset, any demo app and a demo video (max. three minutes long) to qualify for the competition. Preference will be given for solutions developed on Microsoft AI Platform and services. Learn more at OUR FORUM. 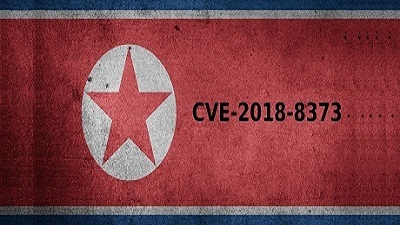 A vulnerability in the VBScript engine has been used by hackers working for North Korea to compromise systems targeted by the Darkhotel operation. VBScript is available in the latest versions of Windows and in Internet Explorer 11. In recent versions of Windows, though, Microsoft in the default configuration of its browser, making it immune to the vulnerability. There are other methods to load scripts, though. For instance, applications in the Office suite rely on the IE engine to load and render web content. 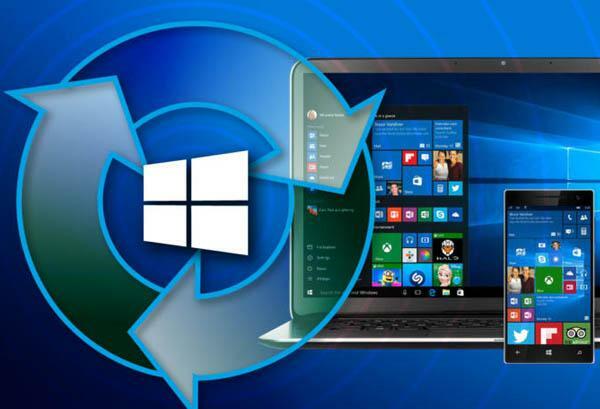 Security researchers from Trend Micro noticed a VBScript vulnerability being exploited in the wild a day after Microsoft delivered its regular updates for Windows in July. Now tracked as CVE-2018-8373, the bug has been addressed in this month's patch delivery. It is a use-after-free memory corruption that allows the attacker to run shellcode on the compromised computer. After analyzing the exploit code, researchers discovered that it shared the obfuscation technique used by exploits for an older VBScript vulnerability also used in the wild and patched in May, CVE-2018-8174. Also known as Double Kill, the vulnerability was reported by experts at Chinese security company Qihoo 360. Get better informed by visiting W10NI.